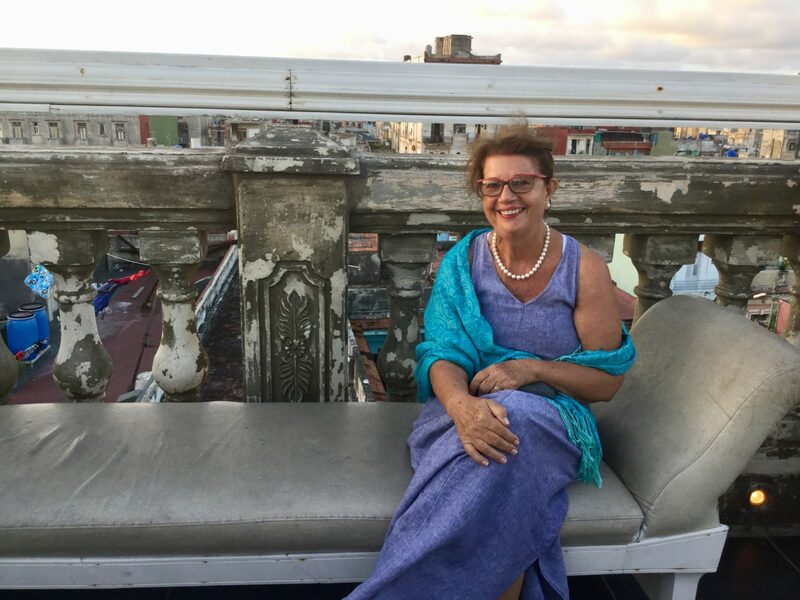 Karin Patrick's Take on Havana, Cuba - CKIM Group, Inc.
Cuba has long remained elusive to the American traveler. Notions of vintage cars driving through the streets, cigars, rum and excellent music all come to mind. Who wouldn’t want to go? Over the past ten years, travel restrictions for Americans has slowly loosened, although during Trump’s presidency, the process toward absolute free travel between the U.S. and Cuba has come to a halt. Karin Patrick has been a travel industry professional since 1978. A German native, Karin moved to the United States in 1983 and currently lives in Florida with her husband, Christopher Patrick, the CEO and owner of CKIM Group. Karin is a Virtuoso specialty travel consultant, a network of the world’s finest travel advisors and suppliers around the world. 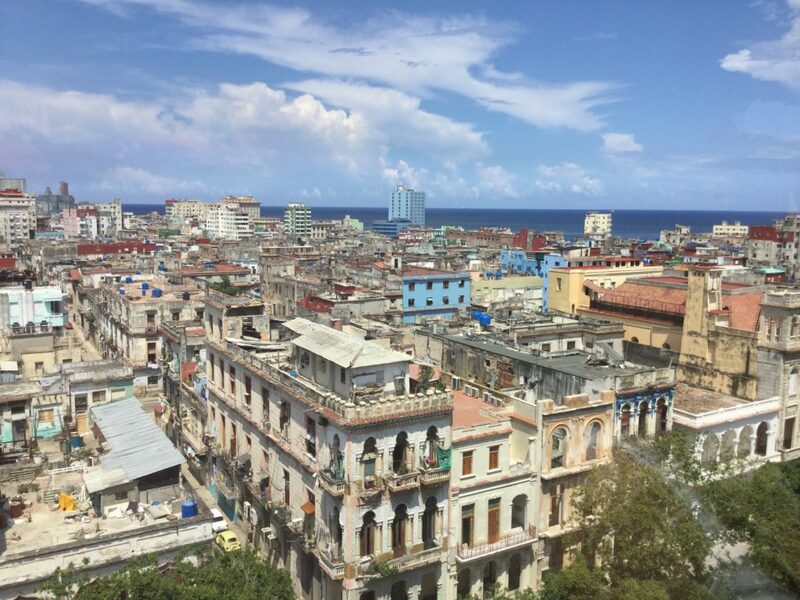 She recently returned from Havana, Cuba, a place that is now dear to her heart. Given the current political climate in the U.S., is it still legal for Americans to travel to Cuba? Yes. Groups are allowed to travel to Cuba. The loophole is that two people are considered a group and it is entirely legal. I would really like to send more people to Cuba because I really had a wonderful time there. Where did you go in Cuba? It was just five days so for the majority of time, we spent in Havana and then we went to Varadero for a couple of nights. The most interesting part was the drive [to Varadero] through the country side. We stayed at the Kempinski Hotel. It is all hotels in Cuba in that, 80 percent of it is owned by the government, but the rest of it is German-owned. The hotel is not your traditional Cuban style: it is very contemporary, modern and slick. 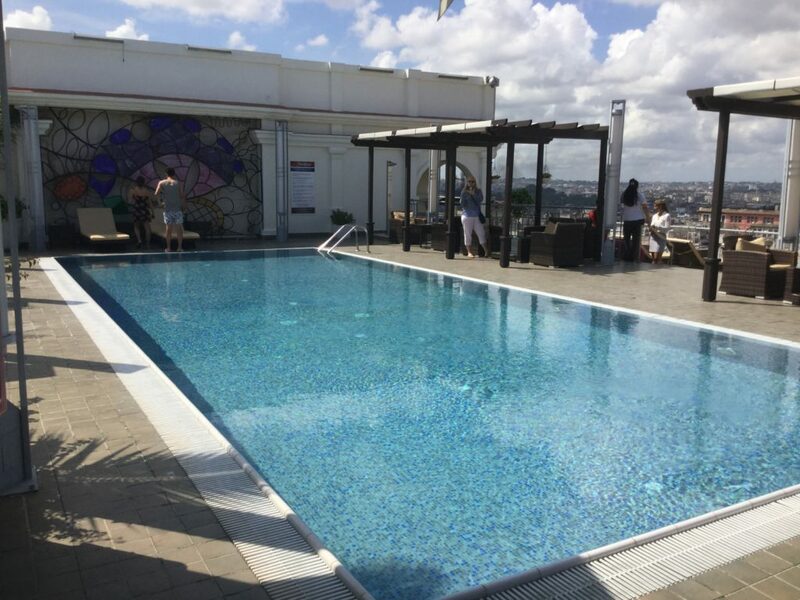 The rooftop bar and pool is very cool and overlooks the Havana Skyline. Having cocktails up there around 5 or 6’o’clock in the afternoon is an incredible experience as the sunsets. Just looking around the pool, you could be anywhere, like South Beach Miami, but when you look out and see that skyline, you know that you are in Cuba. You look down at the street and you see all the antique cars. I would probably send potential client to the Saratoga as opposed to the Kempinski if they want a truly Cuban experience. I love the Saratoga because it is an old, traditional hotel. It is a five star hotel. The rooms are older, but all very clean. They have updated the place as much as they could. The staff are wonderful and the lobby is very pretty. Many of the other hotels are mass tourism hotels, they are not really for the type of clients that I would like to send. Where else would you recommend to visit in Cuba? 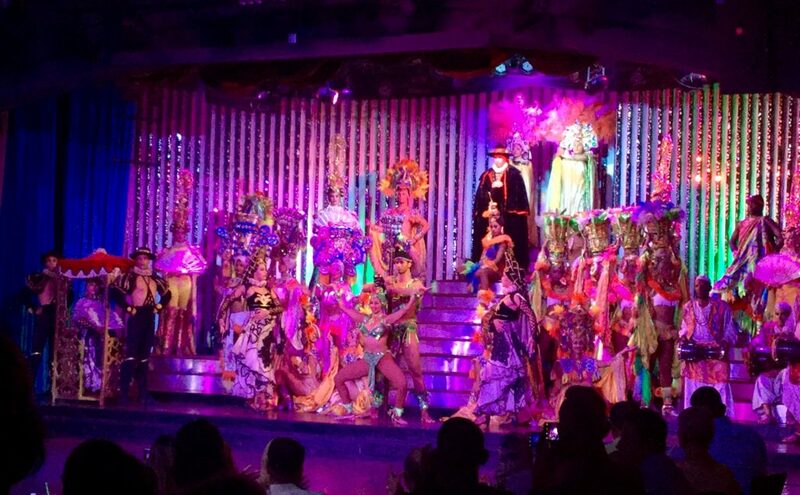 I would recommend going to the Hotel Nacional to have cocktails and see the cabaret show. I would recommend this cabaret over the Tropicana cabaret. It is smaller but the costumes are awesome, and if you don’t want to stay for the whole duration (two hours) you can discreetly leave. The gardens here are also very beautiful. There was a walk through the tunnels and bunkers, built in 1962 during the Cuban Missile Crisis. It is good to bring a guide with you. Also, at the bar, the pictures of all the celebrities that have been there like Frank Sinatra, that is pretty cool. We also went to the Partagas Cigar Factory, which was a sight to be seen. All employees make 25-30 dollars a month. Old Havana is a UNESCO World Heritage Site and we did a walking tour around the area, which was really really cool. 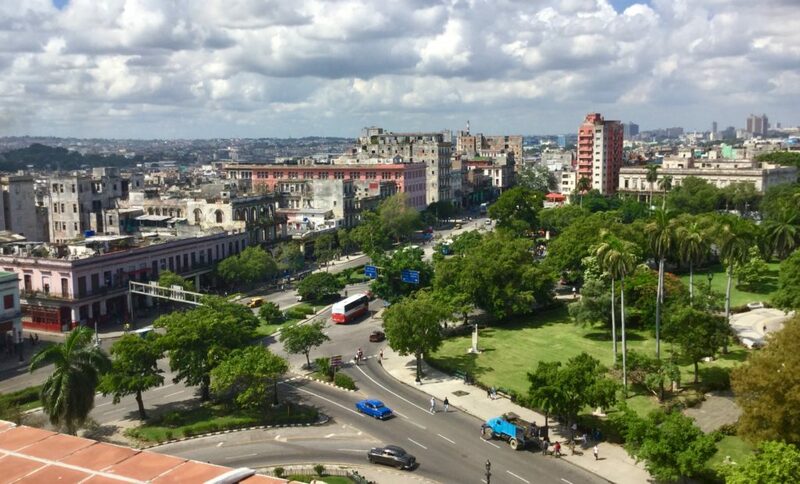 Havana is the oldest metropolis in the New World with the largest collection of colonial era achitecture in the Americas. All the architecture and the art, is just awesome. The guided walking tour through historical La Habana Vieja (Old Havana) is like an open-air museum of architecture, art and culture. We strolled along the narrow colonial streets around Havana harbor, Plaza de Armas, Plaza de la Catedral, Plaza Vieja, Plaza San Francisco de Assis and Obispo Street. We ended the walking tour with a demonstration and tasting at the rum museum. Of course we tasted some rums. I bought some home with me, which I still enjoy from time to time. 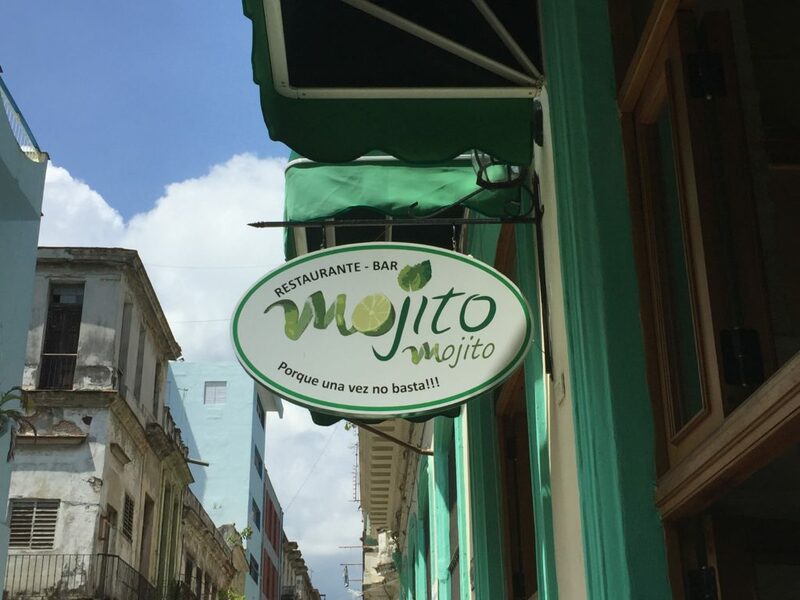 One of the biggest changes that Cubans recently experienced is they were able to branch out and start their own businesses. This change increased the amount of restaurants available to Cubans and tourists alike. We went to Mojito Mojito close to the rum museum. The food is great there and, of course, the mojitos are famous. There is live music everywhere, especially in the plazas. It was so nice to see Cubans on their lunch break, enjoying the live music. We also went on a vintage car tour and learned how they keep them running. We went to another awesome restaurant: La Taberna del Pescador. It is in an old home on the top floor. It is all nicely done, with “antique” furniture. We also went to Ernest Hemingway’s home in Havana. I would recommend visiting this either on the way from the airport, or when you are leaving because it is a little outside of city. Local residents in Havana Vieja. What did you love most about Cuba? 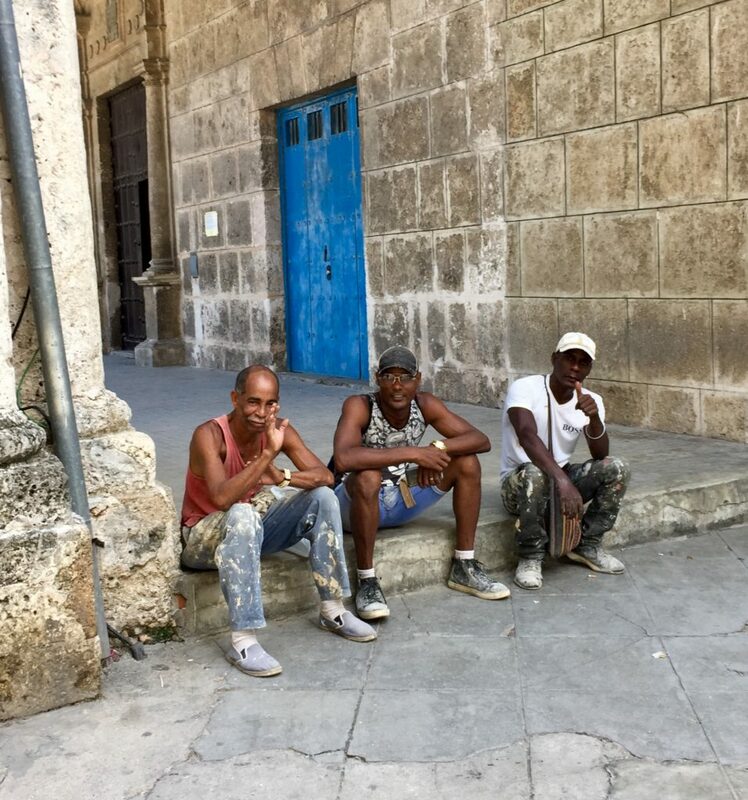 I was so impressed by how warm the Cubans were, and how highly they spoke of Americans. I just could not get my head around that. It was a wonderful experience, with the people especially. How easy is it to get to Cuba? It is actually quite easy. There are direct flights from Boston, Philadelphia and Fort Lauderdale. Jet Blue has a special checkin area for Cuba flights, which includes the visa counter so you can get your visa right there. The reason why you need a legitimate, authorized travel company to deal with Cuba is because they provide an invitation letter. You show this at the counter, pay a small fee, and you get the visa right there. 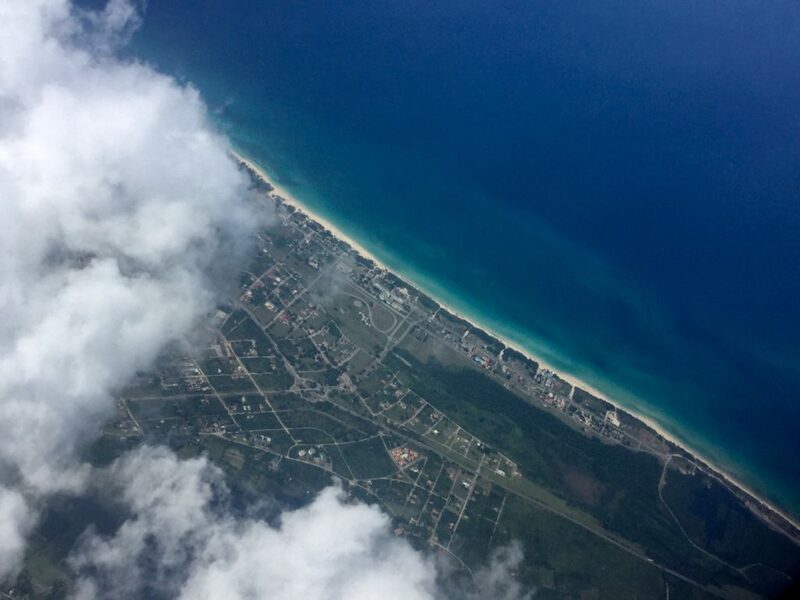 Once you get to Cuba, what do you do next? Usually when you arrive in Havana, there is a meet-and-greet arranged by the travel company. There is a bank teller at the airport where you can exchange your money for CUC (Cuban Currency). The exchange rate is 1.1USD to 1CUC but you also pay a 13% service fee. There was such a long line when we went, that we didn’t bother and went straight to the hotel, where you can exchange money too for the same rate and fee. You have to take enough cash with you for the extent of your visit as you cannot use credit cards. We also took a lot of goodies with us, like cosmetic items. Some of the group took children’s books and crayons. We gave these away while we were there to our guide and some of the maids. Mojito Mojito bar and restaurant. There were a lot of positive aspects to Cuban society as well. Education is free which is a plus and Cuba is one of the safest countries in the world. It is wonderful, you can walk late at night without worrying about anything happening. You feel really safe there. We also visited a maternity house where women can spend the last three months of their pregnancy and the first couple of months after the birth with the baby. Who would you recommend a trip to Cuba to? It would have to be someone that is open and interested in history. They have to be open to seeing diversity. It is sometimes shocking to witness people living under very dire circumstances. It is an ideal place for someone that is well traveled and that has seen many parts of the world. It is a very rewarding experience to see what Havana is like after not being able to go for so many years. I think every American should go actually. It’s really important to have a good guide. I would say it is best to spend a minimum of three nights. I work with three main companies here in the U.S. that know Cuba inside and out, and that work very closely with the guides there. Once you are there, most of the time, you are traveling around, you will be accompanied by a guide. You will have some free time to yourself, and the guides will give you recommendations of where to go.